its used for displaying the vessel type names in the UI (periscopes or uzo), after identifying a vessel. 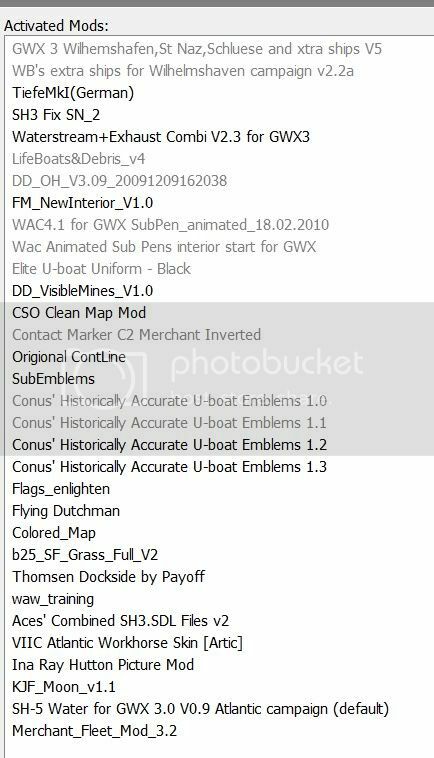 This file was also often modded to prevent automaticaly displaying something in the UI vessel name field, if you turn your uzo or peri crosshair over a vessel, normaly out of visual sight. Thanks for that, I stand corrected! I downloaded the original version of this that you put up on Sunday night and had exactly the same problem extracting the files as everybody else, so i downloaded again and tried to extract again but the same file corruptions. This time instead of re-downloading the file i used a different extraction tool (7-Zip) instead of WINRAR and everything extracted fine. I now have everything running OK in Museum and have created my own Englishnames.cfg and it all runs perfectly with no crashes. Maybe people are not using 7-zip to extract the files and this is the cause of the problems. For anybody that wants it.. here's my Englishnames.cfg for the version that IABL released on Sunday night. So glad this mod is out! I've been awaiting it for a long time! Version 3.02 D/L and installed fine. Museum and career both loaded fine. I'm suffering the same CTDs as Sailor Steve - straight to desktop but without any error message showing. I guess my system isn't up to it (P4, 3GB RAM, nVidia GeForce 9800 GT). It'll stay up unless IABL asks me to take it down or until a new version is released. Last edited by Wreford-Brown; 06-09-2010 at 07:43 AM. Any ETA on the skin packs? Thanks mate! Trying to download but no seeds! @WB have you tried using the 4GB patch? I use 7zip and nothing else, so that's not the problem. Or at least not the only one. Used 7z to load it and still CTD. I have run LSH3-V5 on this PC with one CTD. XPS 720,3GHZ,4GB RAM, Nvidia 9800 GT SLI. This is a great looking MOD IABL!!! CTD's in museum or career? Did you install during a career? Can you recall if you have a total of about 350 units or more on your installation? I recommend that you try installing first on a clean 1.4b just to see if your computer will support the higher detail ships - then, gradually add mods to the game.